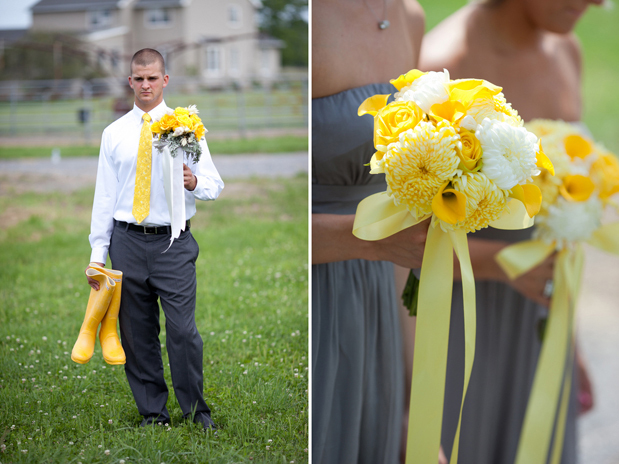 I’m not sure there’s anything better than yellow wellies at a spring wedding in upstate New York. I’m absolutely ready for spring, aren’t you? Pretty sure Ashley and Gilchrist’s wedding is going to get your heart thumping at least a little when you see all this sunlight and yellowy goodness. 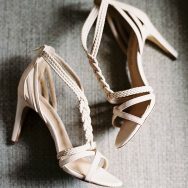 This lovely wedding was shot by Tammy Swales Photography and took place at the Genessee Valley Club in Rochester, New York. 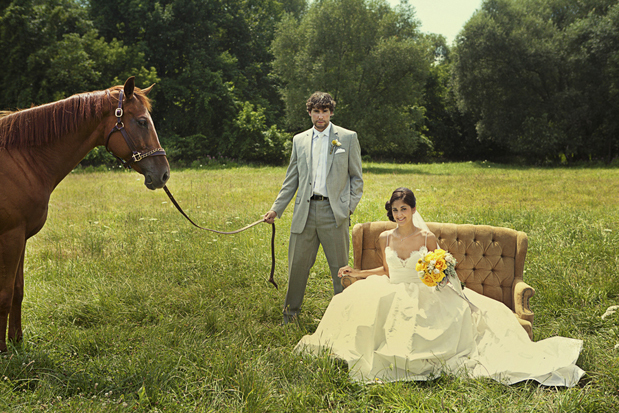 Those insanely beautiful flowers are by Stacey K. Floral and Ashley’s dress is by Amsale. 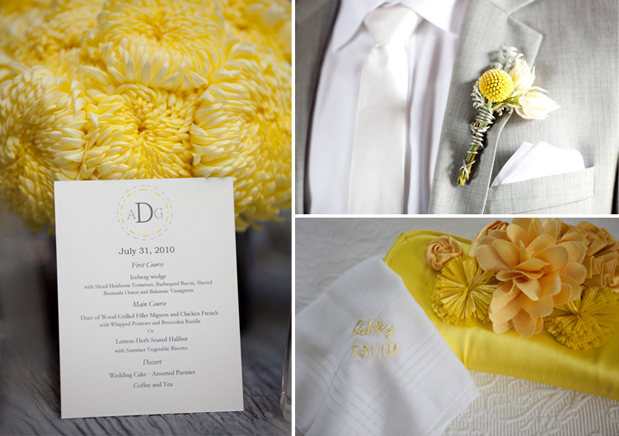 I love the yellow and gray color combo! Its so striking. Beautiful photos. The pops of yellow are incredible! I love that clutch! 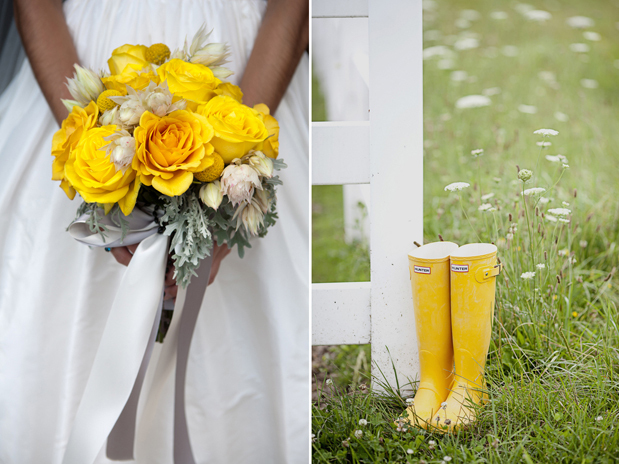 I am adoring the yellow in these images, the wellies, the flowers. the tie. A colour not chosen that often unfortunately. LOVE this bright pairing. Gorgeous! I couldn't live without my wellies!! LOVE. I adore all of the flowers -- so bright and pretty! in love with these yellow details. Beautiful colors and how cute are the Wellies! The yellow is so vibrant and bright and the wellies are amazing!! 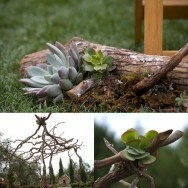 Love Tammy's MAD camera skills, and of course all of these sweet details! Congrats Tammy, Ashley and Gil! These photos are beautiful and capture the mood of the day perfectly. 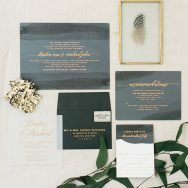 As a Rochester gal who is planning a September wedding there, I'm so happy to see this wedding featured! So bright and fun!